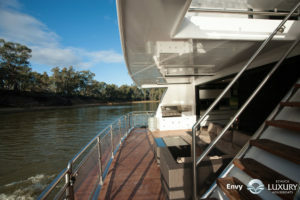 Envy, the sister ship to Infinity, was completed in September 2017. 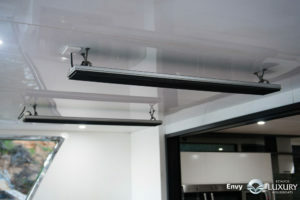 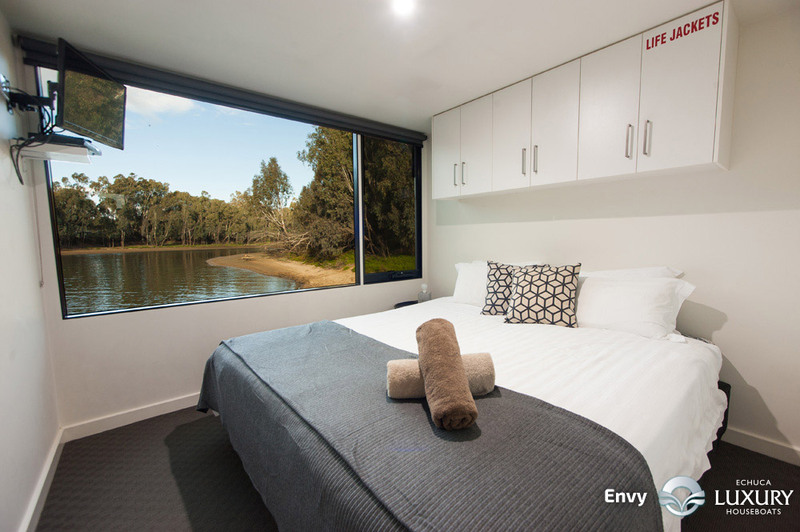 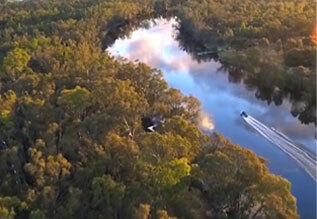 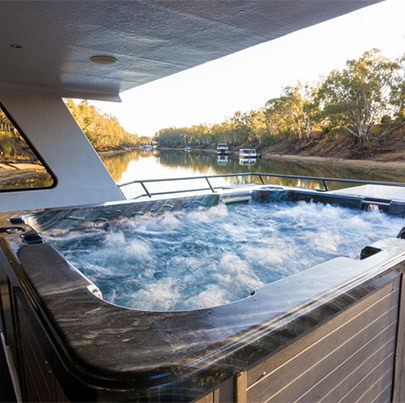 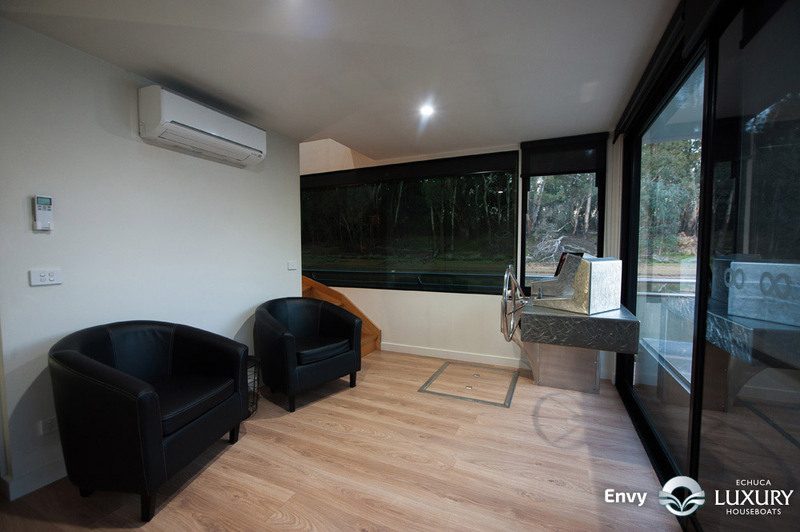 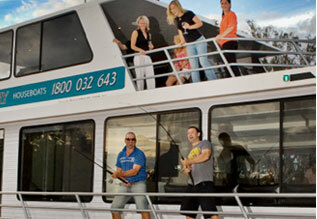 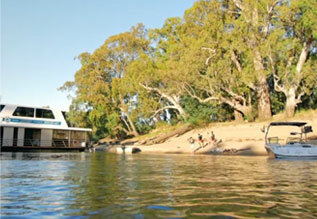 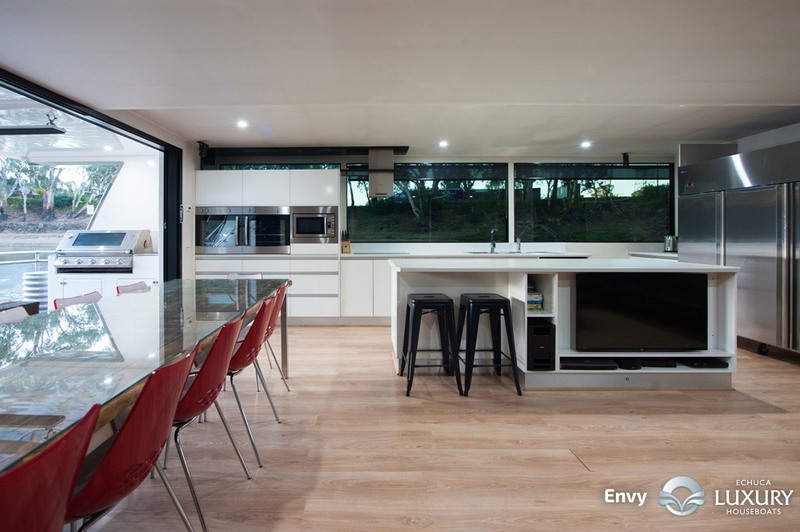 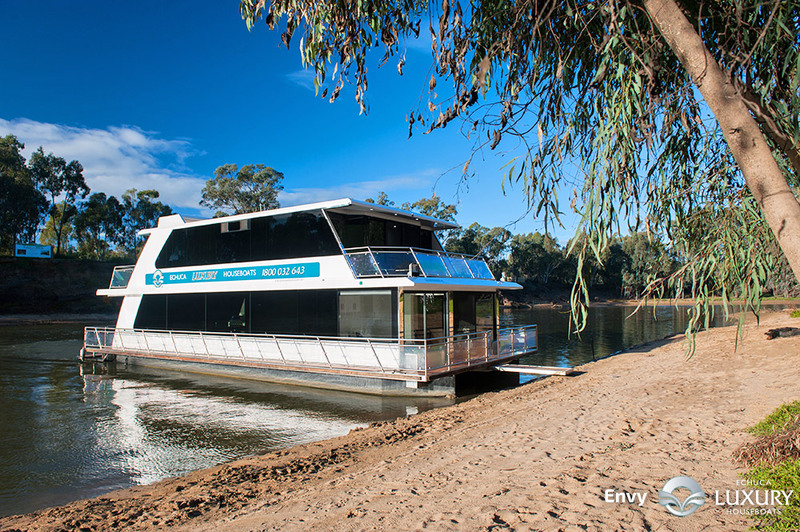 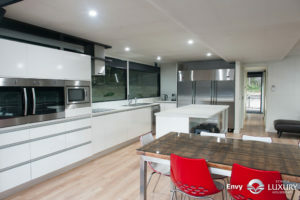 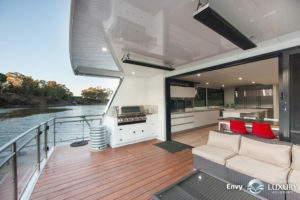 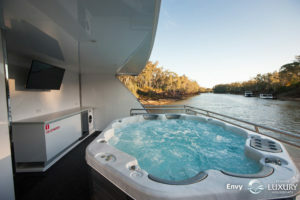 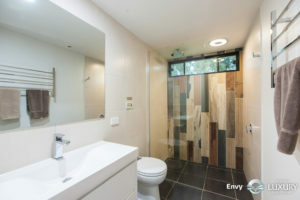 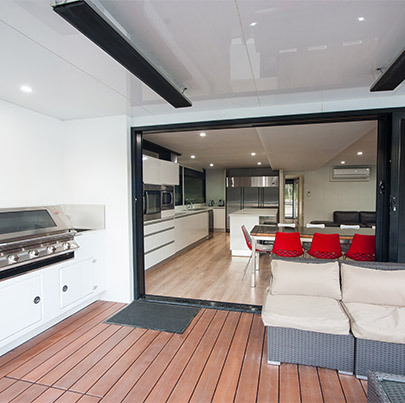 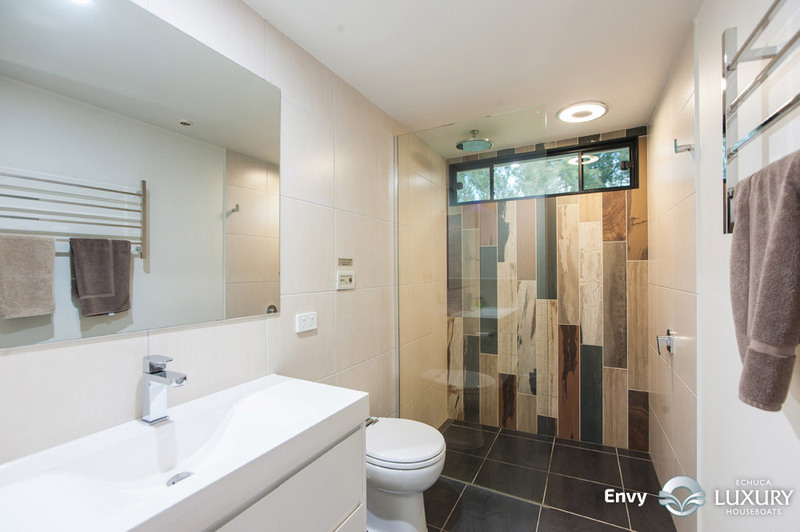 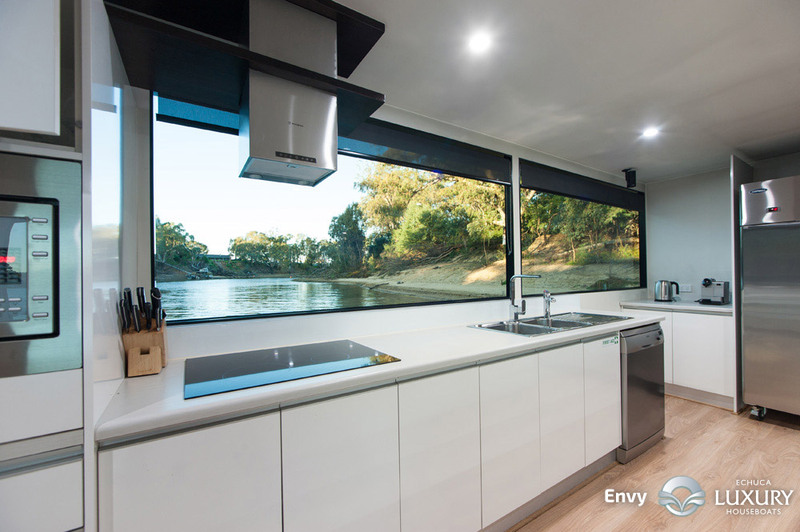 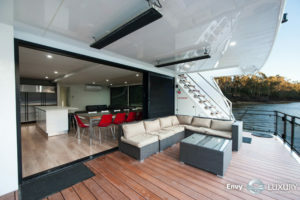 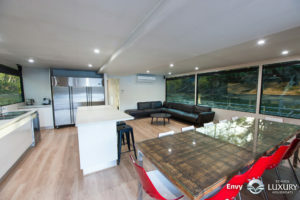 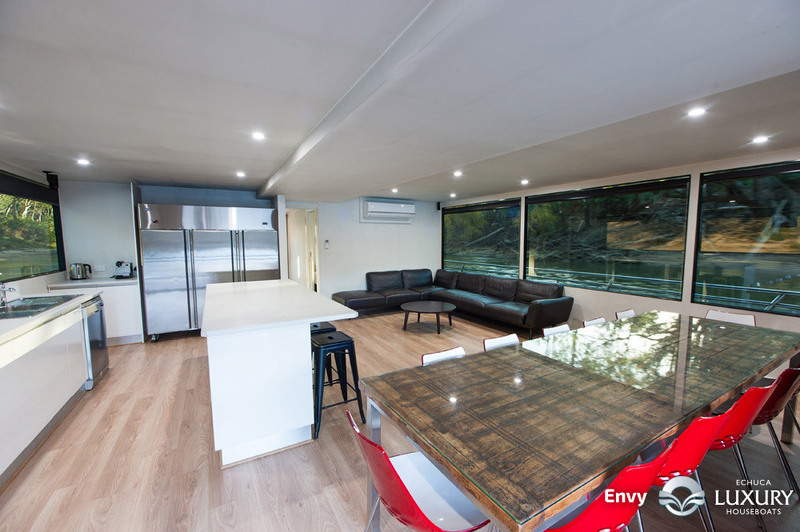 Envy is one of the most popular luxury houseboats in the Echuca Moama region. 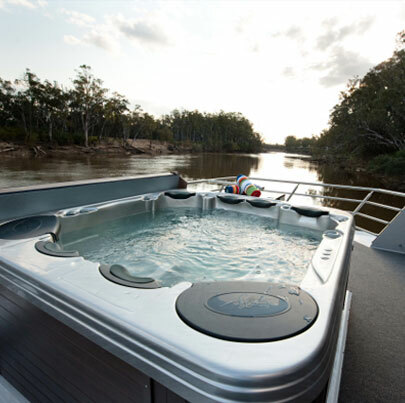 Boasting the impressive array of features in parallel with Infinity this boat oozes with style. 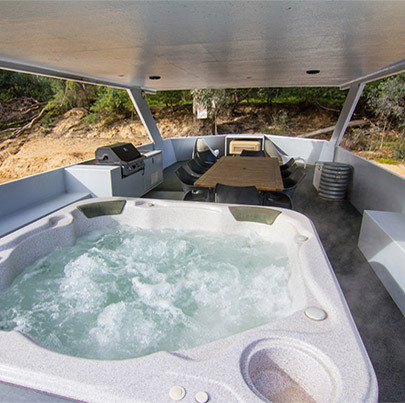 Powered by the World Famous Cummins power plants both for Electricity and Boat propulsion, this vessel simply amazes people with its ease of operation. 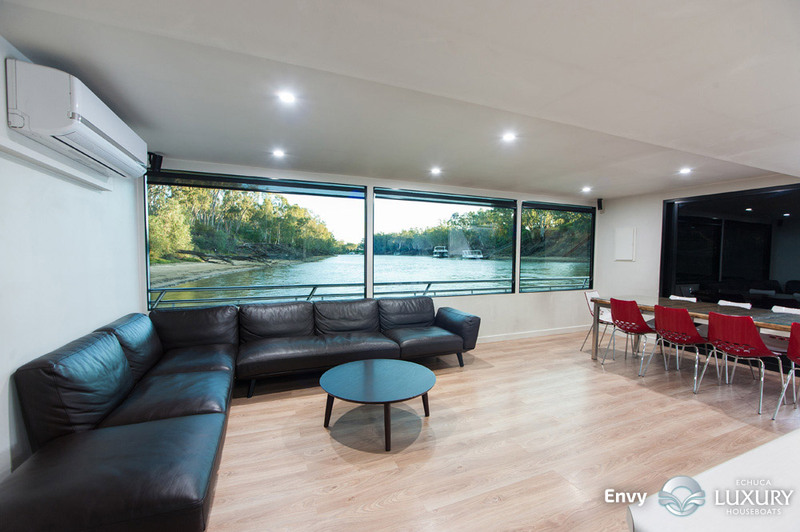 Harnessed to a state of the art Selectronic Inverter based electrical system, solar panels and a massive battery bank every possible feature of this houseboat is world class. 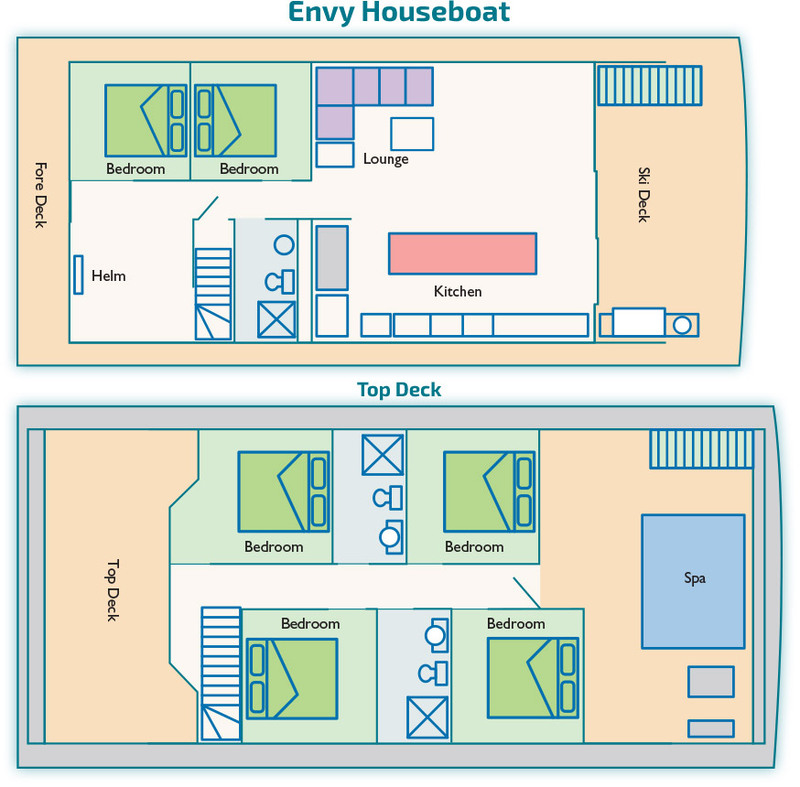 6 bedrooms – No sofabeds, curtains or partitions will be needed on this boat. 6 bedrooms with 6 king beds, 12 single beds or any combination in between. 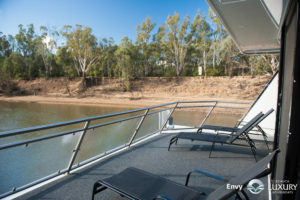 If you are looking for Echuca’s premier luxury houseboat company then look no further. 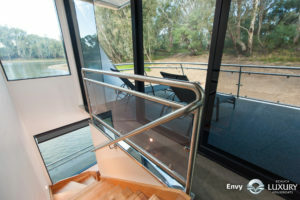 Echuca Luxury Houseboats continues to provide you with a level of style and sophistication not seen before in these waters. 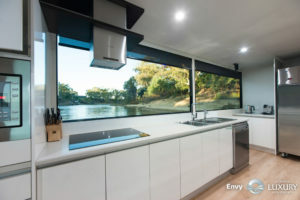 Since 2007 we are the only houseboat company in the Echuca/Moama area that has built, and continues to build, brand new state of the art luxury houseboats. 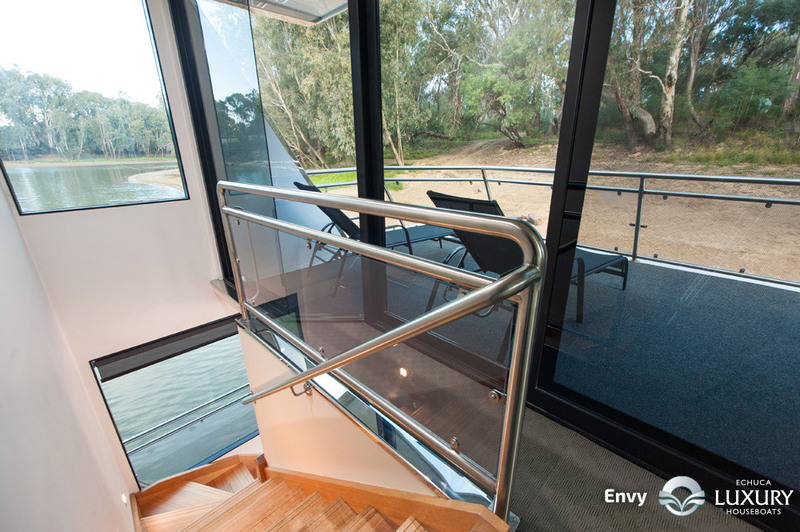 Our houseboats are the newest and most luxurious houseboats in the Port of Echuca.